Burke's Do It Best Home Center always has on hand all of the building materials you need for any home building project. We have lumber, insulation, roofing, siding & trim, doors & windows, hardware, HVAC products, plumbing, electrical, hand & power tools and more. 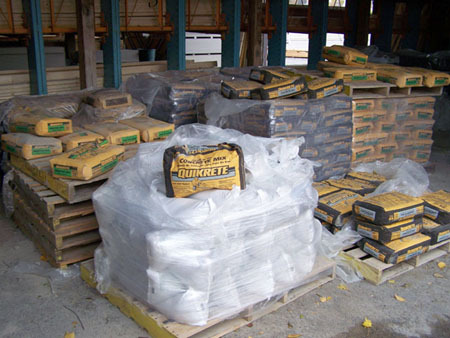 Burke's Home Center always has on had a large quntity of Quikrete ready mix cement (and all of the tools you'll need). From laying brick and block to creating concrete countertops, with QUIKRETE® products your building and construction possibilities are endless. Browse our project library below for ideas, step-by-step instructions and product needs. Below are some Quickrete PDF help files for various projects using concrete. 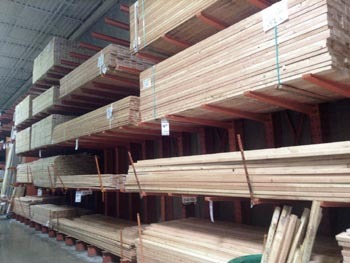 We carry a wide assortment of both wood and manufactured wood mouldings, trim and casings. We have stair rails, chair rails, window and door trim, case mouldings, quarter round, half round, baseboard moulding, various bead mouldings, coved mouldings, crown moulding, door stop, screen moulding, dentils, fluted trim pieces, base shoe, and more. We have pine boards in stock in a large variety of widths and lengths. Graded lumber is available in 'clear', 'select knotty', 'knotty', & 'utility'. Prices vary according to the current economic conditions and our suppliers, so please call for more info. Choosing the best ceiling for your project can make all the difference. With an unparalleled variety of choices, no matter what your ceiling needs, we have you covered. Adding ceiling tiles can bring new life to a room and, depending on the type of tiles used, may add noise suppression and insulate the ceiling. Decorative tiles can give a subtle boost to the room's decor, especially when coupled with a unique molding. Installing the tiles does not require the skills of a professional builder and uses common household tools. If it is in good condition, you can apply the tiles directly to the existing ceiling. If it is less stable, you can add furring strips to give the tiles the foundation they need, or a rail system to suspend the ceiling. We have drywall in stock as well as other sheet goods including OSB, masonite, plywood, particle board, pegboard, ridgid foam insulation board, T-111 and others. We also have sheetrock compound, tape and all the necessary tools for the job.